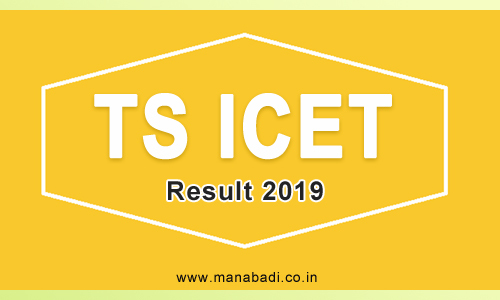 TS ICET Results 2019 will declare Soon.TSCHE planning to release the results of The Telangana Integrated Common Entrance Test 2019 Results on their official website. Check Telangana Integrated Common Entrance Test 2019 Score Card and Counseling Dates from this Article. The Kakatiya University, Warangal successfully conducted the ICET Exam as per their schedule. The students who are planning to study MBA and MCA applied for Integrated Common Entrance Test Examination 2019. All the applied candidates are attended for the exam. Now, the candidates are searching for the Telangana ICET 2019 Results. Merit rank obtained in TSICET-2019 is valid for admission in the academic year 2019-19 in the colleges located in the state of Telangana. All disputes arising out of any matter concerning TSICET-2019 shall be subject to the jurisdiction of High Court of TS & AP only. In such disputes, only the Convener, TSICET- 2019 and the Secretary, TSCHE can be imp leaded as respondents. TSICET-2019 is being conducted in two sessions based on the same syllabus, same pattern for candidates having same eligibility criteria. A candidate will be eligible to appear only in one session. Since the question paper will be different for each session, there is a possibility that the candidates compare themselves about the variation in the difficulty level of questions. However, it may be noted that utmost care will be taken so that all the papers are of same standard. Further, it is decided to adopt a normalization process to eliminate any such variations in the difficulty level of various sessions. Normalization, as used in Indian context, is a process for ensuring the students neither advantaged nor disadvantaged by the difficulty of examinations conducted in multiple sessions. This process is based on a simple formula which has been adopted as recommended by the experts from reputed educational institutions at all India level and Universities. The process is being implemented in other all India / Nationwide entrance tests for admission into undergraduate and graduate professional courses. Normalization process ranks all the candidates across all sessions on a comparative scale. In any normalization process, the marks of the easier session may be reduced marginally and the marks of the harder paper may increase marginally on the global level, depending on the average performance in each session. If there is no much difference in the averages between two sessions then there wonâ€™t be much difference in the normalized marks as well. Normalizing marks would justify the candidates while protecting their actual performance. For the candidates for whom there is no qualifying cut off in TSICET-2019, if the marks in TSICET-2019 after normalization go below zero (negative), the total marks are treated as zero and the ranks are assigned based on those marks. If tie persists, then TSICET-2019 normalization marks will be considered for breaking the tie. a) Qualifying Marks for TSICET-2019: The qualifying percentage of marks in the Entrance Test is 25% (i.e. 50 marks out of total 200 marks). However, for candidates belonging to Scheduled Castes or Scheduled Tribes, no minimum qualifying percentage of marks is prescribed. If the tie persists, marks obtained by a student in Section-B will be taken into consideration. c) Rank obtained in TSICET - 2019 is valid for admission into MBA/MCA Course (Full Time / Part Time / Evening / Distance Mode) of all universities in Telangana State for the academic year 2019-2019 only. d) Evaluation: Every care will be taken to avoid errors in the evaluation, checking, scrutiny, tabulation and ranking. However, request for re-verification will be entertained on payment of ` 1,000/- by D.D. drawn in favour of the Convener, TSICET - 2019 (payable at Warangal drawn on any Nationalized Bank), within fifteen days from the date of declaration of results. After this date no request will be entertained. Candidates qualifying TS ICET 2019 will be called to participate in counseling. TS ICET counseling is conducted to allot seats to candidates in the colleges and universities of Andhra Pradesh. Based on ranks in merit list, candidates will be called for counseling. The stages of counseling are given below.